As in real life, it is a bit odd in Cozies that what I would consider the “big” holidays are all sort of scrunched together at the end of the year. Starting with Halloween, stretching through Thanksgiving, and ending with the double punch of Christmas and New Year’s Eve, the four biggest holidays for Cozy Mysteries are all within 2 months of each other! That said, it would be a real shame to ignore the other holidays through the year, even if many of them don’t have the “big” nature of the year-end holidays. So, considering this is February, what are some of your favorite Valentine’s Day Themed Cozies? Are there any in particular that you are reading right now? As I’m sure most of you are aware, I of course have a Valentine’s Day Mystery Book List on the site already. If after looking through that list you are aware of another Valentine’s Day themed Cozy that hasn’t already been listed there, please be sure to post a comment. Thank you! All good Valentine’s Day books! Mary Jane H, I have a few favorites, and I see that KG’s comment below has a few of them in it! Now that I’m back on my dieting modus-operandi, I want to at least read about heart-shaped cookies! The Cozy Mysteries are the best books you can get to read. My 4 favorite Valentine themed books are Peach Plum Cobbler Mystery by Joanne Fluke, Death of a Chocoholic by Lee Hollis, and 2 books by Leslie Meier – Valentine Murder and Chocolate Covered Murder. I haven’t read any this year, but will check back to see what others say. There’s still time to get one or two read before or around the 14th. I didn’t see This Old Homicide by Kate Carlisle on your list. KG, thank you for mentioning This Old Homicide. I don’t know how I missed it. Thank you! I’m very new to reading cozies so I’m not to familiar with many of the authors. I would enjoy some suggestions from others though. 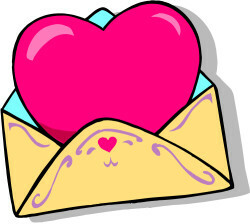 Thank you for sharing you Valentine’s Day Mystery Book List. You have given me some really great books to check out. Thank you. Deana, I have finally added some Valentine’s Day Cozies to this entry. I’m sorry it has taken me so long, and I hope you enjoy reading a few of them. My love of cozies began in 1996 when I discovered Lee Harris’ The Valentine Day Murder. I went on to go back and read all her books and any author’s that were similar to her style and use of characters. So far my interest in this genre has not abated. Hi Danna. Valerie Wolzien was my favorite. I never understood why someone that good had no more books coming out. I had tried to find out and heard everything from health problems to publisher disinterest. I had even heard at some point that she’d be writing under a different name! I’ve never been able to find out, and, alas, no more books from her. Don’t forget about Isis Crawford’s A Catered Valentine. Trice, you’re not kidding >>> thank you! Two of my favorite Valentine books is Gilt by Association by Karen Rose Smith and As Gouda as Dead by Avery Aames, who writes the wonderful Cheese Shop mysteries. Neena, thanks! I’m glad you mentioned these two Valentine’s Day Cozies!